There are some in the news media, law enforcement and politics who continue to ask the question: Why are the Democrats and Republicans wasting time and money investigating a case that’s failed to materialize — President Trump’s alleged collusion with the Russians to beat Hillary Clinton — while ignoring a case of suspected radical Islamic spies being given carte blanche on the IT system at the U.S. House of Representatives? Democratic members of the House shared the services of three suspected spies from Pakistan. A former police department’s intelligence official told Conservative Base on Wednesday that he believes part of the reason the Democratic Party and their allies in the news media continue their overall narrative — that Donald Trump and Russia’s Vladimir Putin colluded to destroy innocent Hillary Clinton’s presidential aspirations — is to divert attention away from the alleged shenanigans of three Pakistani brothers hired by the Democratic National Committee. “The Democrats in Congress hired three brothers to work in key jobs in the House of Representatives and it’s believed they spied for radical Islamic groups with the blessings of American politicians like Debbie Wasserman-Schultz,” the former police intelligence expert told Conservative Base. “They dread the thought of having to explain why they are so careless with classified intelligence,” he added. During the early days of the Trump administration in February, three brothers — all Pakistani immigrants — who were hired by Democratic lawmakers to manage their information technology (IT) for their party’s members of the House Permanent Select Committee on Intelligence and other components of the House of Representatives were quietly and suddenly suspended pending an investigation. It was believed that the three Muslim siblings accessed classified-documents on lawmakers’ computers without clearance, authorization or permission. The three Pakistani nationals named Abid, Imran, and Jamal Awan were told they were — and are — banned from all computer networks at the House of Representatives and throughout the U.S. government, according to Washington, D.C. insider Charles “Chuckie” Palmeriera, a former police intelligence unit commander. According to the Conservative Base source, three Democrats sitting on the intelligence panel and five Democrats on the foreign affairs committee were among the members who employed the suspects on a shared basis. Both of these panels routinely receive and generate many of the U.S. government’s highly sensitive documents, including those related to the global war on terrorism. A primary target among those who were targeted was Rep. Debbie Wasserman-Schultz, the Florida Democrat who was also the target of an unrelated email hack when she served as chairman of the Democratic National Committee during the 2016 campaign. While the news media covered Wasserman-Schultz’s DNC hacking scandal, they totally ignored the far more serious Awan brothers case. “The media appeared more concerned over the DNC — a group that isn’t part of the government and is responsible for its own security — being hacked than the House Intelligence and Foreign Affairs Committees being compromised by ‘insiders’ hired from a country known for its duplicitous dealings with radical Islamic terrorists,” said political consultant and former criminal prosecutor Samuel Heckerstein. All three of the Pakistani Awan brothers were employed by the House Democrats. 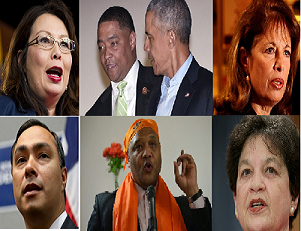 The politicos who utilized their IT expertise included Democratic Congressmen Jackie Speier, Andre Carson and Joaquín Castro. Congressman Castro, who also sits on the House Permanent Select Committee on Intelligence, utilized the services of Jamal Moiz Awan while Speier and Carson’s offices utilized Imran Awan. 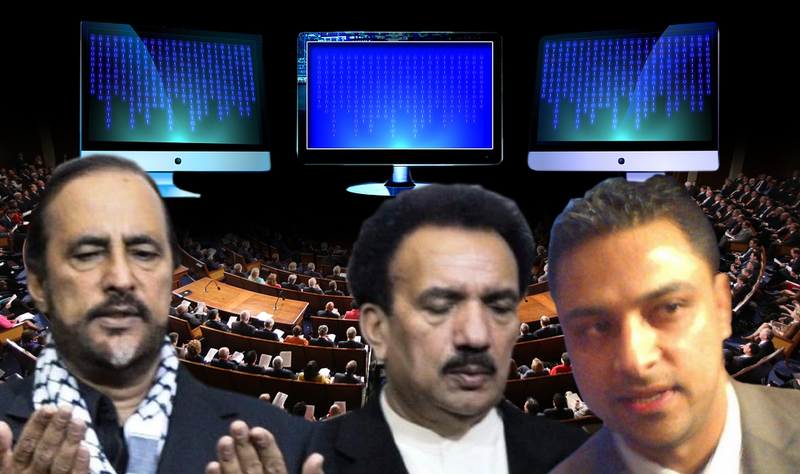 Brothers Imran, Abid, and Jamal Awan as well as Hina Alvi, Imran’s wife, each made $160,000 a year as information technology workers for the House. Their time was shared among dozens of Democratic members, including former Democratic National Committee Chairman Rep. Wasserman-Schultz. 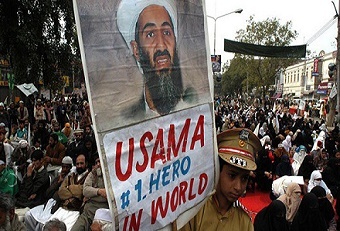 Osama bin Laden hid for years in Pakistan, a nation sympathetic to global jihad. seriously Democrats take national security. In fact, if one mentions these brothers are Muslims from a country in which al-Qaida’s notorious leader Osama bin Laden hid that person is lambasted as being an Islamophobe or worse,” said political consultant Henry Davernport, a former military officer himself. Congresswoman Gwen Graham, who served on the Armed Services Committee and on the Tactical Air and Land Forces subcommittee, had employed Jamal Awan. Jamal was also employed by Rep. Cedric Richmond who is part of the Committee on Homeland Security and on its Terrorism and Cybersecurity subcommittee. He is a ranking member of the latter subcommittee. Also Rep. Mark Takano of the Subcommittee on Science, Space, and Technology employed Imram. Imran also had worked for the office of John Sarbanes who sits on the House Energy and Commerce Committee that oversees the nuclear industry and the nation’s power grid.